It's time to live in the Digital Age. We've got our smartphones, smart watches and even smart glasses; so why are most of our housekeeping habits still stuck in the analog years? Let your home work for you - with a bit of technology! More than just a gimmick, smart home devices in recent years have developed into seriously useful gadgets, able to help you save bills, do chores or make everyday life convenient. So, whether you're practical or simply a tech geek, check out these 8 essential device picks for an ultra-cool 'high-tech' home. Too lazy to get up to turn off the lights? Or maybe you forgot to switch off your study lamp before heading out. Save the trouble and unnecessary electricity wastage - smart lighting come with a range of features, from motion sensors that turn on/off according to human presence, to Wifi/Bluetooth enabled lights that can be remotely controlled with your smartphone. The comprehensive Phillips Smart Lighting Kit is an easy fit for first-time users, and includes 3 LED HUE smart bulbs with a router that allows you to be connected to the HUE app to remotely control the dimness, timing and colour of your home's lights. If people have been picking locks for years, isn't it time to make it that much harder for burglars to break into your home (or simply waltz in, because you forgot to lock the door)? Since you're bound to get something to secure your home - consider an ultra-secure digital lock instead. From letting you open/close the door with your smartphone, password-enabled security, to monitoring who is entering and leaving your home, smart locks come with a varying range of benefits depending on the model. These locks also have bonus features like forced entry alarms for safety. Providing three ways of access - via keypad password, access card or manual keys, the Samsung Digital Door Lock also comes with a whole suite of nifty features, such as alarms for when the door is forcefully jolted, and sensors that detect fires, allowing the door to automatically open. Vacuuming is probably one of the most laborious and time-consuming household chores. Luckily, the advent of robot vacuum cleaners means that we don’t have to do it manually anymore! These smart machines can traverse all over your home, sucking up the dust in every corner, without you having to lift a finger. The best part - you don't even need to be there to watch over it. Most robot vacuums can schedule cleaning sessions, so they can do the dirty work when you're away. While slightly more expensive than other brands like Xiao Mi, the Neato Botvac D80 offers high performance cleaning that's also quieter on the ears too. Using laser technology to map out each room, the Botvac boasts a larger dirt capacity and precise brush that works especially well on hard floors - perfect for most Singaporean homes. Home's for relaxing, not for getting caught up with mundane, pesky tasks! Things like plotting your schedule, creating a shopping list or even switching on the TV? How we wish we could have someone to do it all for us on absolutely lazy days. Consider your wish granted - a relatively new development, smart home systems/intelligent assistants are taking convenience to the next level. With just a simple voice command, these compact systems can literally do everything, from helping you create that to-do list, turning on the music to controlling other smart home devices. Slim and sleek, this handy 9-inch smart assistant/speaker device can be placed anywhere in your home (without being an eyesore). 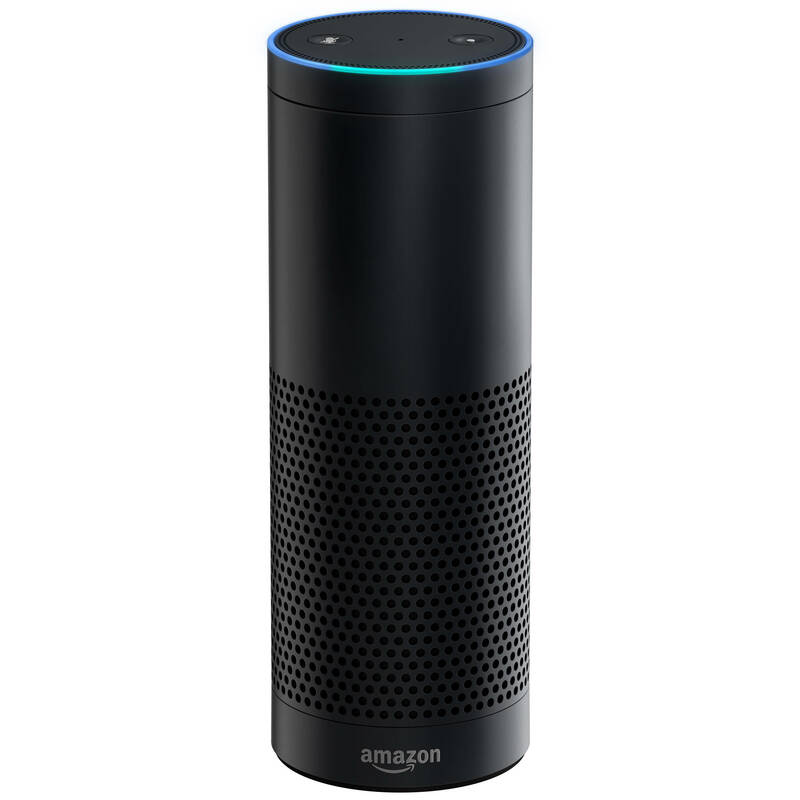 Alexa-enabled (which is basically Amazon's version of Siri), the gadget can run basic errands, and instruct your other connected smart devices, like your TV, lighting or curtains to do your bidding - by voice. While we're on the subject of curtains; that's right, you don't even have to lift an arm to close or open those drapes (or blinds) these days. Whether you need more privacy, or crave for a little more sunlight, smart, motorised curtains allow you to control and adjust the position of your curtains with precision, simply by pressing a button on your remote, or through a smartphone app. Somfy's Motorised Curtain isn't a curtain per se, but a motorised track that can take up to 45 kg worth of drapes. Remote controlled enabled, the rail can be stretched up to 6m, with options for choosing the opening alignment (centre or side? ), as well as its opening speed. One feature that makes it stand out is also its long battery life, which can last up to 9 months. Cooking is a science. Not too much water, not too long or too many ingredients. Plus, as the saying goes, a watched pot never boils; and you sure don't want to waste extra time actually watching your pot, wok or skillet. Introducing smart cookers that help maximise your cooking time (or at least leave you free to do other things). The device can be connected and controlled via a phone app, and users can track their food's process, change the cooking method or timing used though a single touch. If you haven't heard of this magical unicorn known as the Instant Pot, it's time to get acquainted. Having taken the internet by storm (it even has dedicated cookbooks! 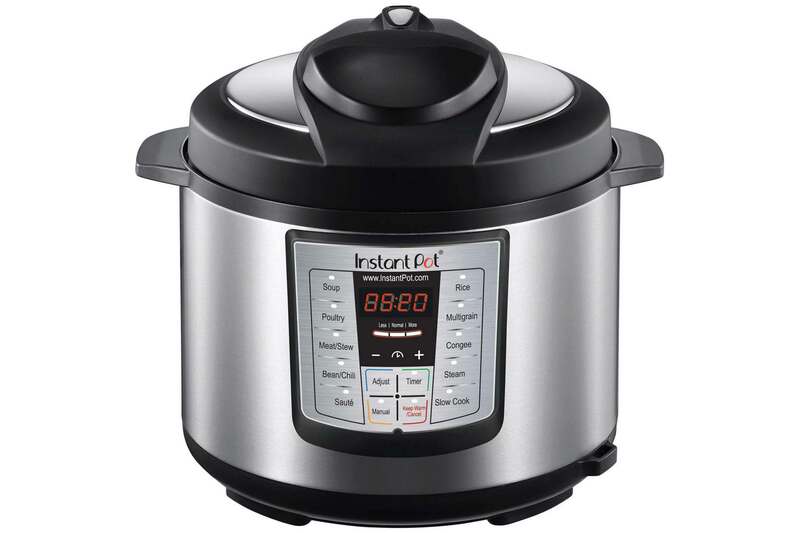 ), the ubiquitous smart cooker is 7 cooking instruments in one - pressure cooker, slow cooker, yoghurt maker, rice cooker, steamer, warmer and sauté pan. If things aren't perfect enough, the Instant Pot can also be connected via smartphone app, so you can access the device cooking settings or search up on recipes remotely. Damn. With rising electricity costs, now is a better time than ever to track down your electrical consumption. Don't worry, you won't have to go round checking switches or your circuit board to squeeze in some extra savings. Smart electricity plugs exist, and they can not only help you host your power points, but also monitor your electricity usage and provide remote control via smartphone. Connected to Apple’s Homekit technology (sorry Android people, right now it's a primarily iPhone/iPad/iPod thing), the Elgato Eve Energy is an innocuous plug that stores a wealth of info from electric outlets. Via a smartphone app, Eve can be toggled on/off using Siri, and can capture key electricity supply stats like the amount used, or what are the big energy eaters, etc. The right sound is everything for a home with a great ambience. If you like to sing in the shower, or blast music while you’re doing the chores, don't risk toting your iPod or smartphone around! Instead, consider getting a wireless sound system can stream music anywhere through a Wifi connection with your phone or through various streaming sources like Spotify or Apple Music. 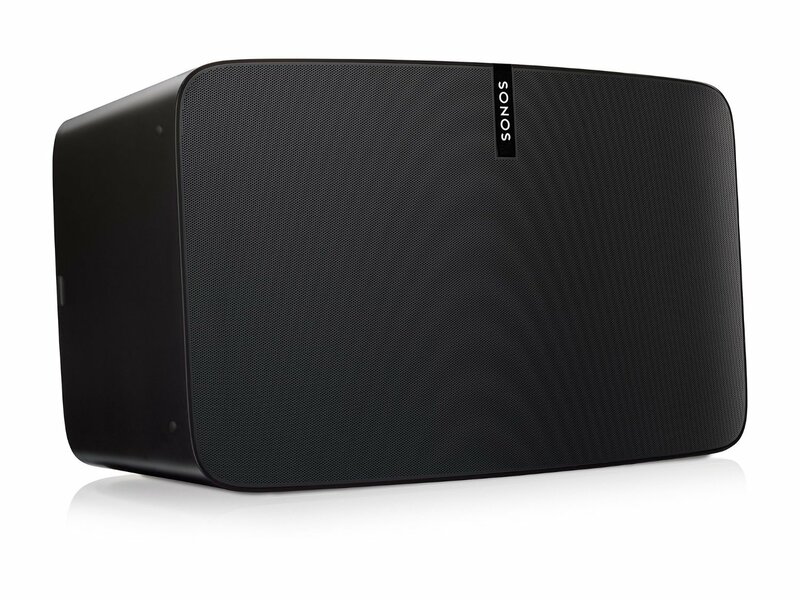 Compact yet big on sound (and features), the Sonos Play:5 speaker system connects to various devices (like your phone or iPod) via Wifi to play different songs in different parts of your home. It also provides streaming capabilities from over 30 services. Besides its superior sound quality (thanks to 6 amplifiers and 3 woofers built in), the best part about the Play:5 is definitely the fact that it's humidity resistant, great for areas like your balcony or bathroom. Hey there - just so you know, Qanvast receives a share of sales from all Lazada and Amazon links listed in this article. A snazzy, smart home needs a sleek looking space to go with it! And we can help - request for a free quote here, and we can match you up with 5 interior firms, based on your budget and style. All recommendations made will be covered under the Qanvast Guarantee, up to $50,000. Love to check out more product guides like these? Download the Qanvast App, available on the App Store and Google Play. Discover more home products and appliances, save your favourite home images or read up on useful buying tips - all on the go. Is it fantasy or reality? Packed with nifty tools and smart features, we check out the magic behind smart mirrors - and why they are set to make homes healthier (and happier). Here's how to get some climate control in sunny Singapore - a worthy investment and even a necessary luxury. Be a Tony Stark wannabe when you equip your home with smart home technology. Today's smart home automation comes in pocket friendly prices, and they help to save on utility costs.